With assignments coming up everyone is looking for that perfect piece of information. Sometimes you cannot find this information in a journal article or a textbook and you have to look a little bit harder to find it. To help you with finding this type of specialised information QUT Librarians have put together some handy How to find guides. These can help you find things such as cases, classroom and curriculum resources such as lesson plans, evidence based information, industry reports and market research, standards and even videos. 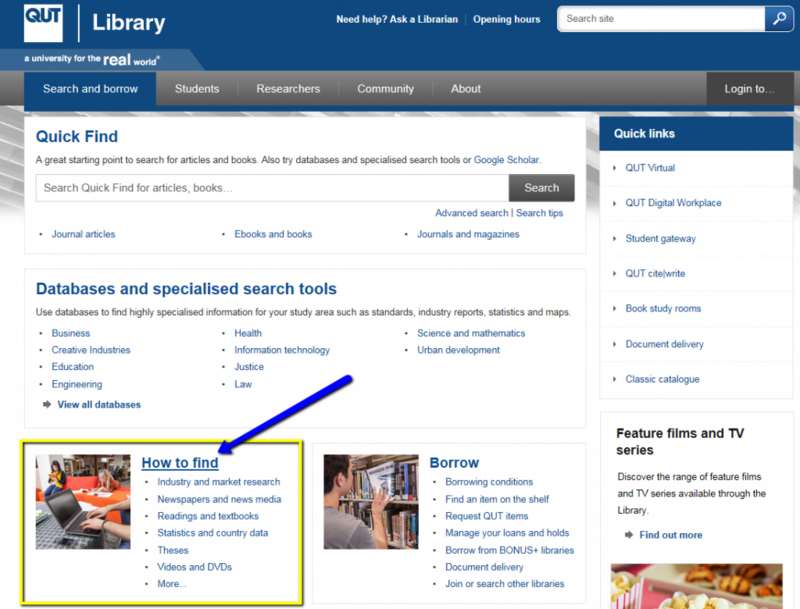 You can find the full list of our “How to find” guides from the QUT Library homepage. If you need further assistance to find information for your assignments, you can always contact the library. May the search for information be ever in your favor!